The TJ Smith Stakes is a Group 1 sprint run at Royal Randwick on Day 1 of The Championships during the Sydney Autumn Racing Carnival. The TJ Smith Stakes is a Group 1 race held towards the end of the Sydney Autumn Racing Carnival on Day 1 of ‘The Championships’ at Royal Randwick. A 1200m sprint, the TJ Smith Stakes is a weight-for-age event worth a lucrative $2.5 million in prize money. This race should not be confused with former The TJ Smith, a Group 1 race run in June during the Brisbane Winter Racing Carnival for two-year-olds, now called the JJ Atkins. The TJ Smith Stakes takes place on Doncaster Mile Day alongside three other Group 1 races: the $3 million Doncaster Mile (1600m), $2 million Australian Derby (2400m) and $1 million ATC Sires Produce Stakes (1400m). The 2019 TJ Smith Stakes runs on Saturday April 6, 2019 . Because of the position of the TJ Smith Stakes towards the end of the autumn carnival, punters have a range of lead-up races to gauge the fitness and form of the runners before placing their TJ Smith bets. Good preparation races include the Group 1 Newmarket Handicap (1200m) run in Melbourne the month before as well as the Group 1 The Galaxy (1100m) at Rosehill Gardens a fortnight earlier. The last horse to complete the Newmarket Handicap – TJ Smith Stakes interstate double was Lankan Rupee (2014). The subsequent two TJ Smith Stakes winners following Lankan Rupee also came off a lead-up run in the Newmarket Handicap with back-to-back champion Chautauqua running 2nd in 2015 and 3rd in 2016. Chautauqua made TJ Smith Stakes history in 2017 when successfully defending his dual titles to become the first three-time winner of the sprint classic. Horses may finish up their autumn campaign in Sydney by running in the Group 1 All Aged Stakes (1400m) held two weeks after the TJ Smith Stakes is run and won. Recent All Aged Stakes winners to come off a TJ Smith Stakes start include English (3rd in 2016), Hay List (2nd in 2011) and Hot Danish (2nd in 2010). The latest sprinters to complete the double were Bentley Biscuit (2007) and Shamekha (2005) both trained by Gai Waterhouse. Early all-in 2019 TJ Smith Stakes odds provided by Ladbrokes.com.au on the hopeful sprinters heading towards the Group 1 classic sprint will be listed below as soon as available. The TJ Smith Stakes field attracts the autumn’s best sprinters shooting for a share in the lucrative prize money on offer in the Group 1 feature on the opening day of April’s ‘The Championships’ and is released on the Tuesday before Doncaster Mile Day. The official 2019 TJ Smith Stakes field and barriers are set to be released by Racing NSW on Tuesday April 2, 2019 and will be published in full below. The TJ Smith Stakes nominations are taken two months out from the race in early February and attract around 100 hopefuls heading towards the autumn classic run over 1200m at Randwick Racecourse. The early 2019 TJ Smith Stakes nominations will be published below as soon as released around Monday February 11, 2019. After nominations are taken the list of potential runners is narrowed down with TJ Smith Stakes first acceptances taken in the first week of March, around four weeks before race day. The 2019 TJ Smith Stakes first acceptances are due to be released on Tuesday March 12, 2019 and will be listed in full below. The TJ Smith Stakes is one of the youngest Sydney races, first run in 1997. Mahogany won the inaugural race, which was then called the Endeavour Stakes and only held listed status. The following year in 1998, the race was renamed in honour of the renowned trainer Tommy Smith and also received Group 3 status. The event worked its way up quickly, elevated to Group 2 status in 2003 and only two years later in 2005 gained Group 1 status. A host of champion sprinters have won the TJ Smith Stakes over the years including Black Caviar (2011 and 2013) and triple hero Chautauqua (2015-17). 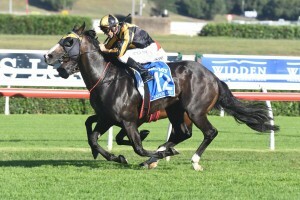 A new TJ Smith Stakes record was set in 2018 by the three-year-old winner Trapeze Artist who flew home in 1 minute 8.29 seconds, surpassing the previous best time in the event from Black Caviar in 2011. See below for the full TJ Smith Stakes results dating back to 2000.